Five new names join the Kings XI Punjab squad ahead of the auction for 2019. Former Australian speedster Ryan Harris and former New Zealand all-rounder Craig McMillan have joined the Kings XI Punjab support staff along with several key members to bolster the team ahead of the 2019 VIVO Indian Premier League. Harris steps in for Venkatesh Prasad as a Bowling Coach while McMillan takes over as Fielding Coach from Nishanta Bordoloi. The duo will join Mike Hesson, who was announced last month as the Coach of the team. "Having quality coaches like Harris and McMillan will be a great asset to the team," Hesson said. "They have both performed as players on the big stage and have made the transition into quality coaches. They will be excellent additions to the coaching team." Australian physio Brett Harrop also joins the KXIP support staff, replacing Amit Tyagi for the role of the Physio in the team. Kings XI Punjab have appointed a Batting Coach, with Sridharan Sriram to fill in the slot bringing in his vast experience from the domestic circuit and his stints in the IPL. A position of High Performance Coach has been added as well with the expertise of Prasanna Raman, previously with the South African cricket team and Royal Challengers Bangalore, to take up the role. 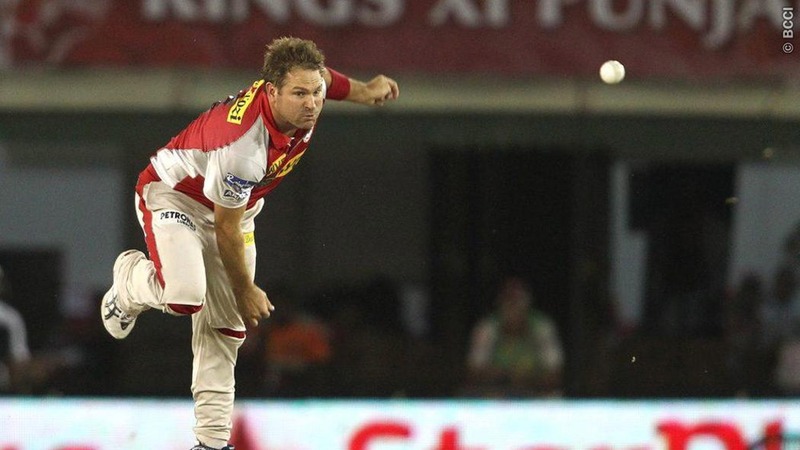 Ryan Harris has played for Kings XI Punjab for three seasons - from 2011-2013 - and has picked up 25 wickets in 21 games. The speedster has played 21 ODIs and 27 Tests for Australia and is widely regarded as one of the best fast bowlers of his era with a bowling average of 18.90 and 23.52 respectively. New Zealand’s Craig McMillan gained his reputation as a remarkable finisher in the limited overs format and joins the side after a successful stint as New Zealand’s batting coach. Former India cricket team analyst Ashish Tuli, KXIP veterans Varoon Parmar and Nishant Thakur, Masseur Naresh Kumar and Assistant Team Manager Vikram Hastir will continue to impart their valuable services in the next edition too. "We are pleased to see fresh faces in the KXIP Support Staff," said Mohit Burman, Co-Owner of Kings XI Punjab. "Along with the existing staff, their contribution will be key in making sure our players deliver the best in the IPL and we have faith that they will leave no stone unturned."